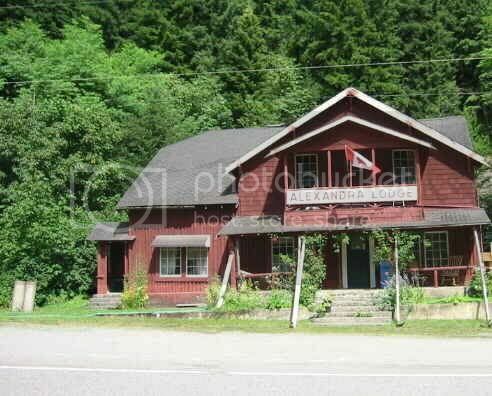 YALE, the head of navigation on the Fraser and Gateway to the Cariboo Gold fields.This town had two boom times. 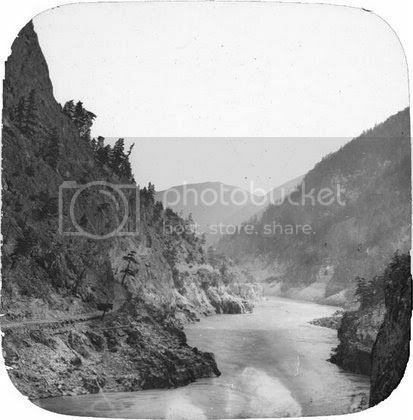 In the 1858 Gold Rush! 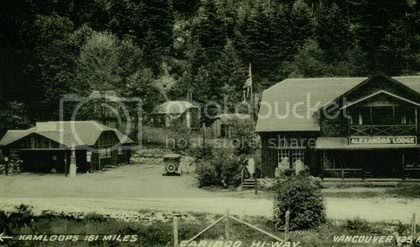 In 1880's the Canadian Pacific Railway used the town as a base of operations. Bars with standing room only, went around the clock. His friends called him Ned and he was a successful miner. 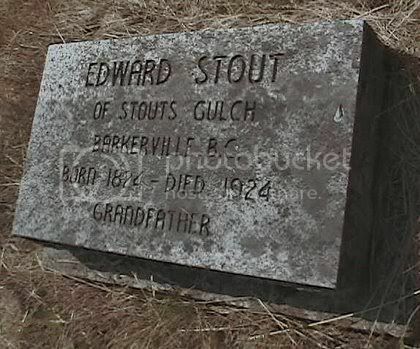 The founder of Stouts Gulch just up the road from Barkerville. Ned chose to retire in Yale and to this day relatives live in Yale. A visit to the pioneer grave yard will soon point out to the visitor just how out of the ordinary it was to live to just under 100 years at that time! 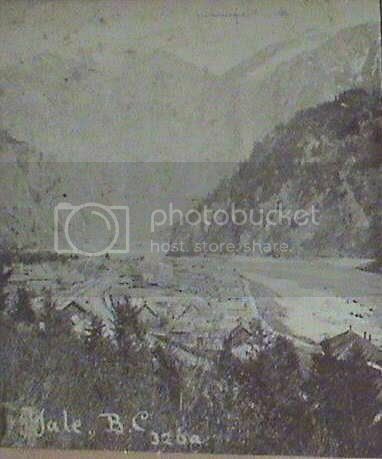 One is even more amazed when one knows that Ned was wounded several times by a native war party. Stout was a survivor of a large miners group that was decimated and would have been totally wiped out, if not for an even larger group of volunteers coming to the rescue.Ned spent 3 weeks in recovery. 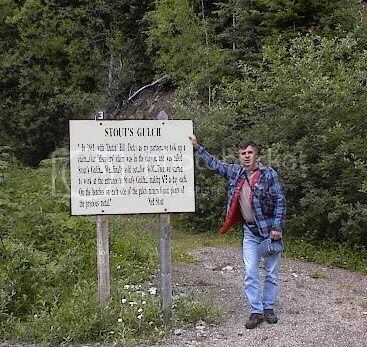 When you visit Barkerville Souts Gulch is well marked and worthy of your visit! 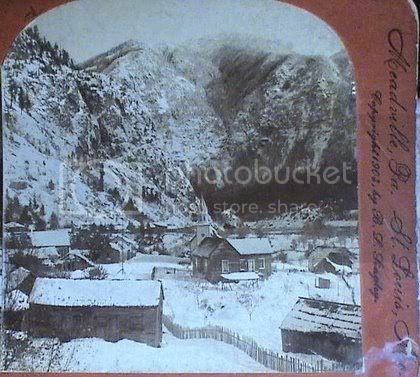 In July of 1858 I embarked on the small stern-wheel steamer "Enterprise" Owned and commanded by Capt. Tom Wright. At Hope we left the Enterprise saying good-bye to our bluff and genial captain with regret, and placing our effects in a large canoe, proceeded up the river towards Yale, where we arrived at nightfall the next day. In the morning we cooked some bacon and boiled a pot of coffee at a neighboring camp fire, and I started to take in the situation. The town of Yale must have had between five and six thousand people. Mostly enterprising young miners and business men from California. All was bustle and excitement in the new mining town. Every race and every color and both sexes were represented in the population. There were Englishmen, Canadians, Americans, Australians, Frenchmen, Germans, Spaniards, Mexicans, Chinese and Negroes all bent on winning gold. 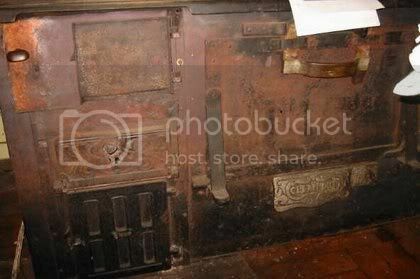 In every saloon a faro-bank or a three-card-Monte table was in full swing. The hells were crowded to suffocation. A worse set of cut-throats and all round scoundrels than those who flocked to Yale from all parts of the world never assembled anywhere. Decent people feared to go out after dark. Night assaults and robberies, varied by an occasional cold-blooded murder or daylight theft, were common occurrences. Often men who had differences in California met at Yale and proceeded to fight it out on British soil by American methods. I should have thought would do anything wicked. He walked towards his tent, as he passed me he said, without the slightest tremor in his voice or the least excitement in his manner. I've had a fight up-town. Did you kill your man? I asked, not for a moment imagining anything serious had occurred. No, he said, I did "one better" I maimed him for life. It's just like this you see, I had rowe with a man named Dalton in the Calaveras mines a year ago. Today he met me on the bench and drew a shotgun on me. I ran in and threw the gun up and the charge went into the air. Then I took my razer-edged bowie-knife and cut his right wrist, the tendons of it, clean across; then I reached down and cut the knee tendons of his right leg and he will be a cripple for life. Excerpts, from, D. W. Higgins in his 1905 book about his time in Yale in 1858.